Abraham CRABTREE from Lancashire, England arrived at Geelong in February, 1849 on the "Eden" and then sailed on to Portland on the "Sophia". He married Mary Ann FALLON, daughter of Thomas FALLON and Catherine EMMETT in 1867. Mary Ann FALLON had arrived in Victoria with her family in 1841 and her father Thomas took up land in the parish of Bogalara, near Dergholm in south-west Victoria in 1846. Abraham CRABTREE ran the Booroopki Post Office, Halfway House and Cobb & Co Exchange Station for the coaches that traveled the road. In 1882 the Booroopki Post Office was one of 64 new offices opened in Victoria for that year. Abraham Crabtree was appointed Post Master and was paid an allowance of £18 per annum which was subsequently increased to the extend of £34 per annum in 1883. Mrs CRABTREE arrived in Victoria with her parents when only twelve months old, in 1841, they landed in Portland, and after a short time took up Bogalara Station, where they resided for a number of years, after which the deceased lady came to Lemon Springs, where she lived continuously for 44 years. The funeral cortege which took place on Sunday the 14th ult, was the largest ever seen in the district, her remains being interred in the R.C. portion of the Minimay cemetery. Death has claimed one of the oldest residents of the Booroopki district, Mr. Abe CRABTREE, who passed away on Tuesday morning, aged 84. His death was not unexpected as he had been ailing for over a year. Deceased was not only a very old colonist, but also probably the oldest resident of the district. It is over 50 years since he built the Bringalbert woolshed. For many years - until three or four years ago, he conducted the Booroopki half-way house and Post Office. Since disposing of this business to Mr. C. WONG, he has lived with his son Mr. Frank CRABTREE, at Lemon Springs, where he died, the funeral took place to the Minimay cemetery yesterday. OATH TO BE TAKEN BY PERSON BEING ENLISTED I CHARLES HENRY LOCK CRABTREE swear that I will well and truly serve our Sovereign Lord and King in the Australian Imperial Force from 17/3/16 until the end of the war, and a further period of four months thereafter unless sooner lawfully discharged, dismissed, or removed therefrom ; and that I will resist His Majesty's enemies and cause His Majesty's peace to be kept and maintainted ; and that I will in all matters appertaining to my service, faithfully discharge my duty according to law. Description of Charles Henry Lock Crabtree on Enlistment. Age 21yrs. 2 mnths. Height, 5 feet 9 1/2 inches. Weight, 11st 10lbs. Chest Measurement, 35-38 inches. Complexion, fair. Eyes light blue. Hair, fair. Distinctive marks, 3 scars abt. inner side left Knee, scar on right knee cap and one below knee inner side, operation scar right side of abdomen (appendix) Religious denomination C. of E.
Unit in which served C. Coy. 38 A.I.F. 15/9/16 Marched in from 38th. Btn. to the 2nd Tng. Btn. 16/9/16 Trans. to 7th. Btn. from 38th. 16/9/16 Taken on strength of the 7th. Btn. from the 38th Btn. 12/3/17 Marched in to No. 2 Company Depot Weymouth from Southall Hospital. N0.849 C Company 38th Batt. Dear Mother, I received a letter from you yesterday dated 2nd July and one from Vera 5th July. I am pleased to hear you are all well and glad David is getting better. I have been very fair myself, we were inoculated yesterday and my arm is very sore. It is twice as bad as it was when we were done before, but it will only be for a day or so. It is raining here today and is very muddy. We get plenty of work here, and we are glad to get to bed. I haven't seen Uncle Harry yet, I heard some of his battalion left last week so he might have been with them. I saw Tom Bray last Sunday and he looks well, Glady said in her note that the other lads were to leave on 11th July, but it would be a while before they arrive. Pat is home so Glad said, well if he is sensible he will stop there, when he has had one go and put out he has done his best. If a man is not fit when he leaves Australia he won't stand the work over here. Does David say what they are going to do with him, he must be pretty fair if he helped to carry a man upstairs. Some of the boys here have the measles. Ted and Harry Oliver are down with it and Les Whitehead has them too. I believe it is very wet over there this year, it is wet here in the winter, it will be a terror, it rains enough now and summer isn't quite over yet, they haven't all their hay in yet, the grass is quite green and long. Well I think I will stop as there isn't much to tell you. I am going to London again if they don't work us all the week as they did this. I forgot to put in the wire before we left that I got the one pound note. I sent a form of Will to Dad. Let me know if it came alright. I don't think you could draw the few pounds in the bank otherwise, if anything happened to me, but I will trust in God to keep me safe till we meet again. We are expected to leave for the front in a couple of months. I will now say goodbye Mother dear with love to you and Dad and the children from your loving son Charlie. Give my love to all I know. Dear Mother, Just a post card to let know I am quite well, hoping you are all the same, I haven't had any letters for a good while now, I suppose I will get some in a week or so. I sent you a little work box the other day I hope you will like it it is very pretty. I am expecting leave in a few days from now it is very near 4 months since I left the Batt. I only expected to be away a few weeks. I will get my photo taken when I get furlough and send a few more things. Dear Mother and all, hoping you are all quite well, I am tiptop myself, got a couple of letters from Glad Yesterday with the piece of paper of J. McDonald's welcome home in it and about Uncle Jack, it was a surprise to me as I never had the other letters about it. I suppose he went off suddenly. I suppose Auntie Sarah's taken it pretty badly. These cards are pictures of different views of Edinburgh. I hope you got a book of views that I sent you from Edinburgh. Well Mum there is nothing to write about this time I will be going on draft this coming week, I don't know what camp we shall be going to but it will be Salisbury Plains somewhere. Well I will say goodbye for this time with fondest love to you all. Hamilton Spectator, Tuesday 22/7/1919. p4. At Minimay on the 14th inst. an enthusiastic public welcome was acccorded Ptes C Crabtree (Booroopki), T Delaney (Morea), and Gunner E C Carracher (Booroopki), the social having been arranged by the Booroopki welcome home social committee. Other returned soldiers present were :- Messrs T Marsh (Melbourne), T Dickenson (Gymbowen), J Neill, W Mitchell, J McCarthy, F L Hawkins, and B P Neill. As they marched to the platform, led by the guests of the evening, they received a hearty ovation. After the National Anthem and “God Save Our Splendid Men” had been rendered, the chariman, Mr P J Lavery, and Messrs Robt Willis, A Schinckel and Reuben Willis spoke words of welcome to the guests, wishing them a happy future and a speedy return to their usual health. The chairman, on behalf of the residents of Booroopki and Morea, presented Private Crabtree and Gunner Carracher with suitably inscribed gold medals. He explained that one had already been presented to Pte Delaney at Morea on the 8th inst. when a welcome social was tendered to L/C J Schumann, who was home on a short leave, and was obliged to return to Melbourne for treatment, and may be away some considerable time. Ptes Crabtree and Delaney and Gunner Carracher feeling thanked the people for the cordial welcome given them and for the handsome medals. “They are jolly good fellows” was then enthusiastically sung by the company, and a vote of thanks to the chairman concluded the social. During the evening much appreciated songs were rendered by Misses G Willis and A Lavery, and Messrs A Schinckel, and P J Lavery, and Mr Schinckel favoured the company with a humorous recitation. Dancing was indulged in for a few hours. Mr P McCarthy being MC. Good music was provided by Miss E Willis, Mrs M McLaughlin, and Messrs P J Carracher, C Stehn, and L J Carracher. A first-class repast was supplied by the ladies. 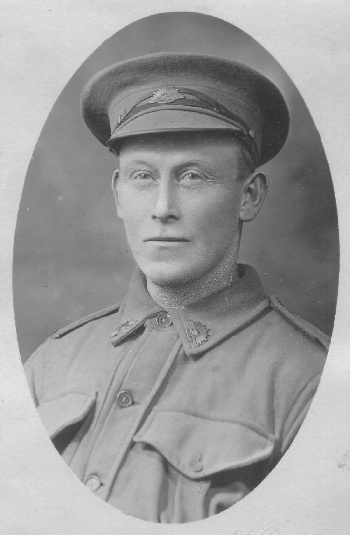 David John CRABTREE enlisted in WW1 and served in Australia. Henry Graham CRABTREE b. 1878 Booroopki, Victoria, son of Abraham CRABTREE and Mary Ann FALLON was married in 1903 to Jessie Louisa WILSON, daughter of Samuel Gordon WILSON and Harriet BANISTER. 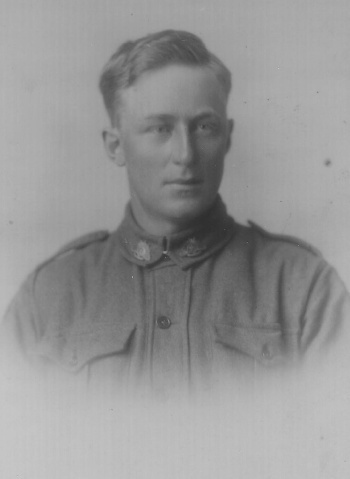 Jessie died in Casterton in 1914 and Henry went off to war as a member of the 5th Battalion AIF. Henry married a second time in 1927 to Ellen Winifred O'BRIEN. He died in 1958 at Port Adelaide, South Australia. Mary Ann CRABTREE 1903-1903, b. and d. Casterton, Victoria. Alice Louisa "Daisy" CRABTREE 1904-1990, b. Casterton, Victoria; d. Toowoomba, Queensland; m. 1923 to Ernest Charles ALTMANN 1889-1962. Carol Amelia CRABTREE 1906-1906, b. and d. Casterton, Victoria. Gertrude "Gerte" CRABTREE 1908-1914, b. Casterton, Victoria; d. Naracoorte, South Australia. Henry John CRABTREE 1913-1925, b. Casterton, Victoria; d. Casterton, Victoria.